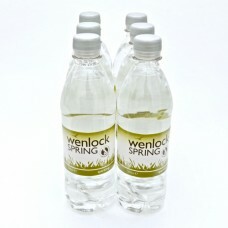 Wenlock Spring is located in Shropshire beside the Wenlock Edge in an area of outstanding natural beauty. 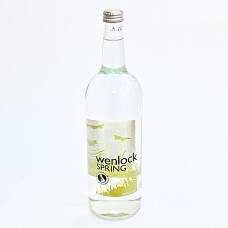 The Wenlock Edge is a geologically famous limestone escarpment created 400 million years ago and is 15 miles long stretching between Much Wenlock and Craven Arms. 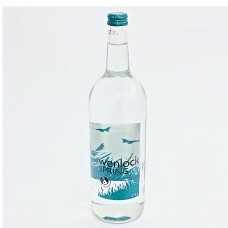 Wenlock Edge consists of Silurian Limestone which was originally formed in a shallow, warm, clear, subtropical sea, similar to parts of the Caribbean today and was South of the equator. 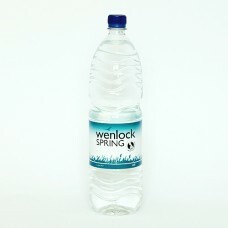 This warm sea was rich in dissolved calcium carbonate and supported reef building animals, brachiobods, gastropods and trilobites which are found today fossilised within the rock. 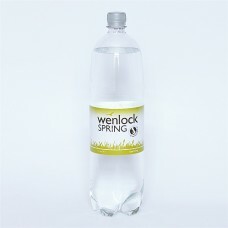 During the Ice Age this Silurian Limestone was pushed and moved from South of the equator to its new home in South Shropshire where it is now a protected Site of Specific Scientific Interest (SSSI) area. 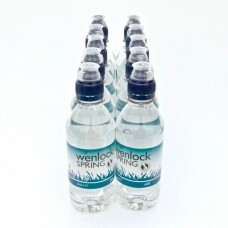 Wenlock Spring water filters naturally through this rock strata providing it with its unique blend of minerals, including calcium and selenium, giving it a refreshing and delicately sweet taste. 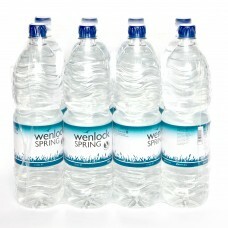 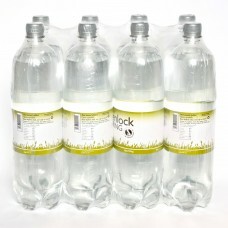 Wenlock Spring Shropshire still water 1.5Litre 8 pack..
250ml Sport Cap 10 Pack Still..
Wenlock Spring Shropshire water sparkling glass bottle 1 Litre ..
Wenlock Spring Shropshire water sparkling 8 Pack 1.5 litre..
Wenlock Spring Still Water - 1 Litre Glass Bottle..